Our wanderlust has taken us all over the world and although we have never regretted visiting any country, there are some countries in which it is easier to be vegan than others. But this doesn’t mean that we would have traded our experiences on the high Tibetan plateau or the rice terraces of Banaue, Philippines simply for a tasty vegan meal. We gladly suffered through yet another bag of nuts or what felt like our millionth granola bar for the views of Mount Everest or a jungle hike to a waterfall in northern Luzon. We very much enjoyed Turkey, from splashing through the ancient pools of Pammukkale, following the call to prayer to locate the nearest mosque in Izmir, to navigating the winding streets of Istanbul. 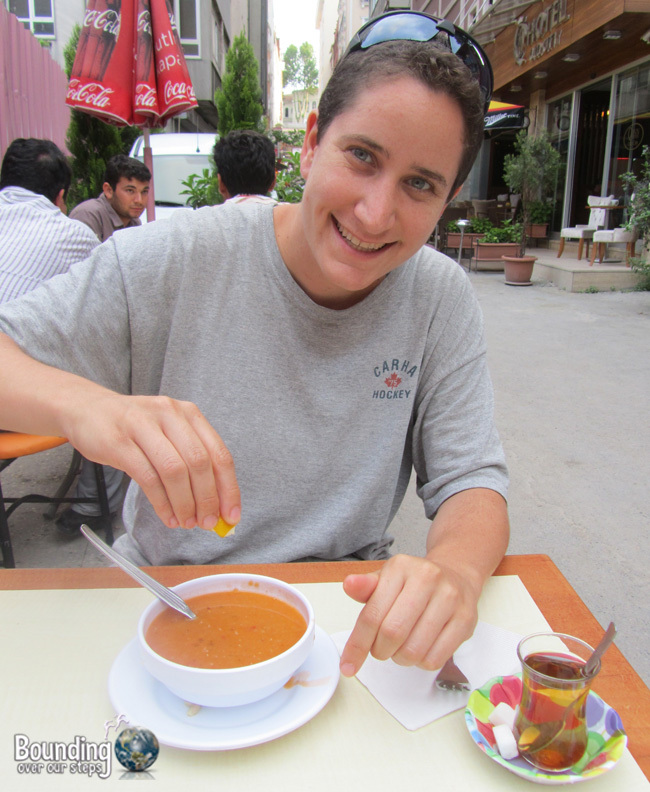 Our favorite vegan dish was mercimec corbasi (lentil soup), which is made with either red or yellow lentils. Add some wonderful vegan Turkish bread and some very common apple tea and you have a very delicious Turkish vegan meal. Turkey also made this list due to the omnipresence of many types of olives and a variety of nuts of which our favorite was the pistachio. 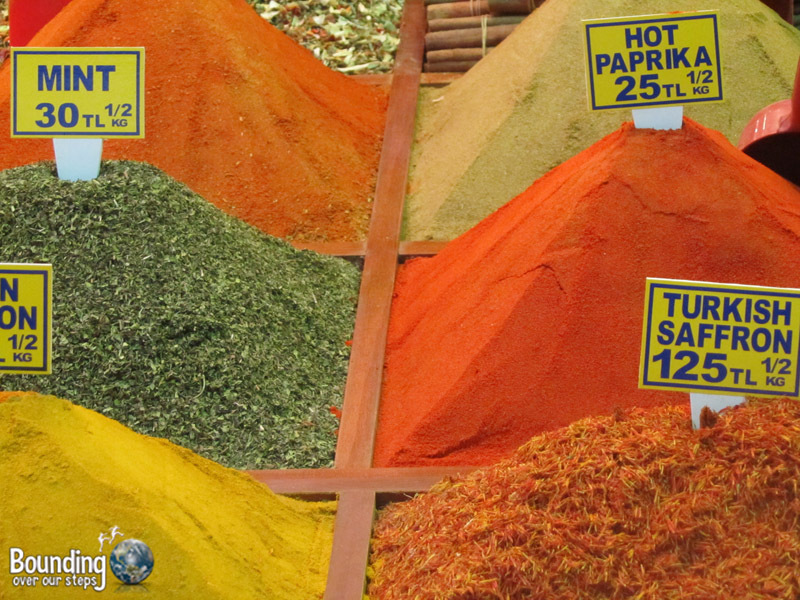 While in Istanbul be sure to visit the spice market which has an unbelievable variety of ways to spice up any vegan dish. Visiting Indonesia was filled with amazing adventures, including exploring the temples of Yogyakarta, celebrating the Balinese new year in Ubud and swimming with sea turtles in the Gili Islands. 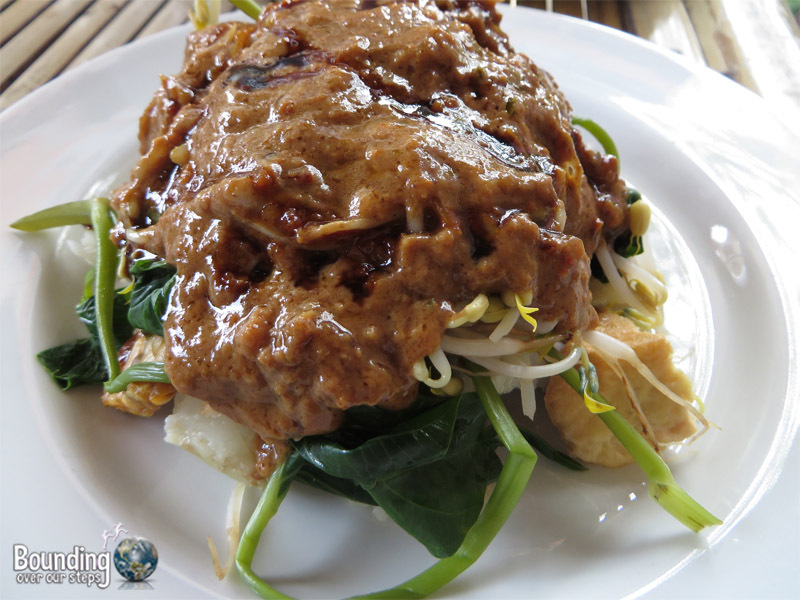 We found it relatively easy to be vegan in Indonesia (especially on the island of Bali) due to several inherently vegan traditional dishes, such as gado gado, which is a spicy peanut sauce over a combination of cooked and raw vegetables, served in restaurants and from food carts all over Java and Bali. Be sure to ask for your gado gado without the traditional egg. Indonesia also made our top five list because its the origin of tempe, a cultured and fermented soy product, which makes its way into breakfast, lunch or dinner. In addition, vegan and vegan-friendly restaurants can be found in many Indonesian cities, especially across Java and Bali. Our favorite was the Loving Hut chain, whose menu varied from restaurant to restaurant. Memories of our time in Thailand include celebrating the Yi Peng Lantern festival, exploring the landscape and working for Asian elephants. 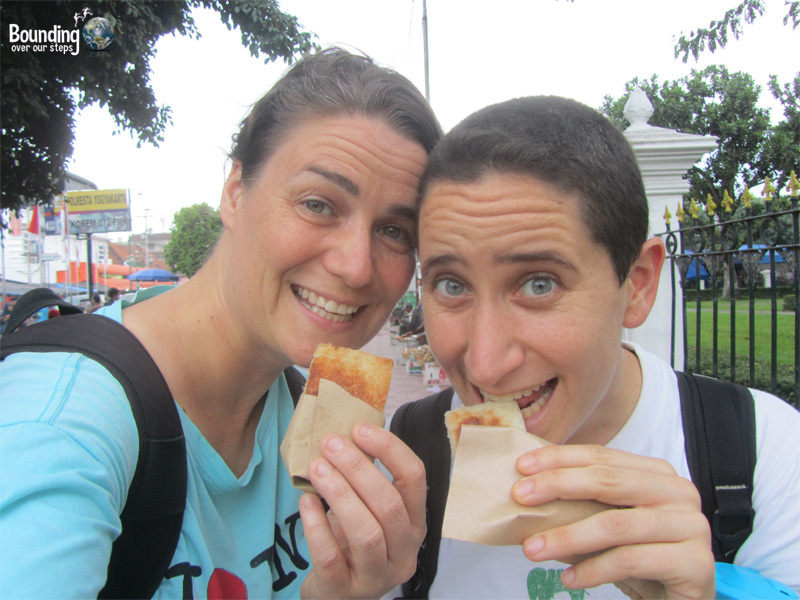 The 2.5 years that we lived in Chiang Mai allowed us plenty of time to explore many facets of Thai culture, including the Theravada school of Buddhism, the traditional clothing and of course the array of delicious Thai food. Fresh fruit and vegetables (often grown in someone’s backyard) seemed to be available all over the country. In Chiang Mai we recommend the organic farmer’s market just off of Nimmanhaemin that happens every Saturday morning and the fresh open-air market at Chiang Mai gate that is open every day. Don’t leave these markets without buying some fruit, especially the mangoes (ma-muang), lychees (lin-jee) and rose apples (chompoo). In addition, there are many vegan-friendly restaurants throughout the country that serve the many types of Thai curry dishes. Even at such restaurants many of the curries get purchased already made at the market and contain shrimp paste, but some restaurants make their curries fresh and vegan. To enjoy authentic vegan Thai curries, we recommend Anchan Vegetarian Restaurant on the left hand side of a little soi (alley) across from Salad Concept on Nimmanhaemin Road. 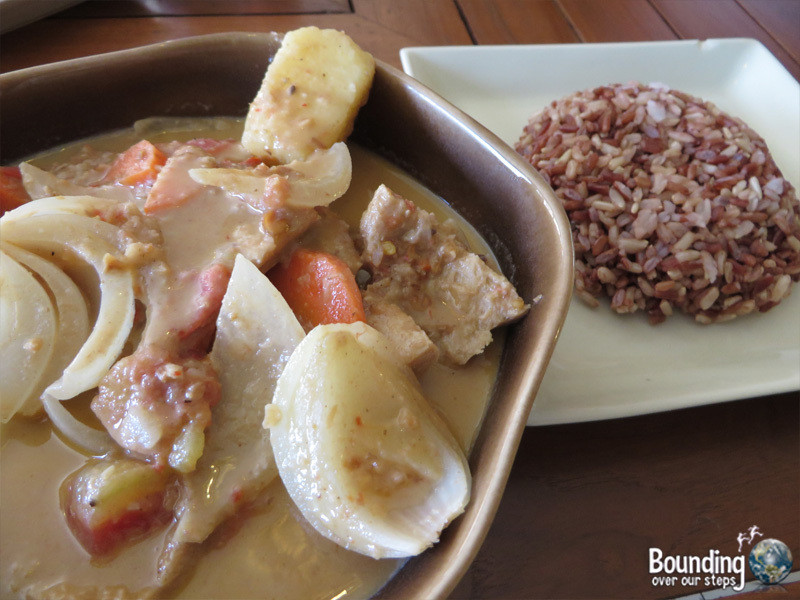 Be sure to try their massaman curry! Thailand also made our list because of the annual Phuket Vegetarian Festival that takes place towards the end of September or beginning of October depending on the moon. 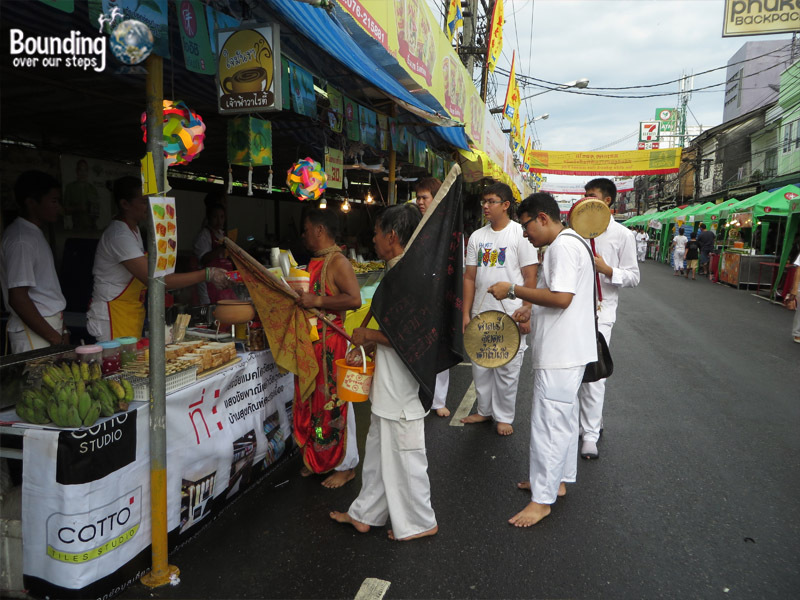 Every year for an entire week cruelty-free food can be found throughout Thailand, but the main festival is on the island of Phuket, where food stalls are set up all over the city. With the exception of occasionally finding evaporated milk in some of the drink stalls, the entire affair is vegan. Highlights of Taiwan include hiking to Shifen Falls, exploring the Beitou district and getting a knife massage in an underground shopping mall. What surprised me the most about Taipei, Taiwan’s capital city, is how easy it was to be a vegan. Not only were there many purely vegan restaurants, but there were even more vegan-friendly restaurants with wait staff who understood what vegan means. Being vegan in Taiwan seems to even be respected to an extent from a religious perspective so vegans needn’t feel alone there. Some of the Taiwanese vegan dishes that we recommend trying are the Taiwanese burrito (vegetables in a sweet peanut sauce) and vegan stinky tofu (if you do not specify the vegan kind you will get the tofu with coagulated duck blood), which you can find at many restaurants as well as at the night markets in Taipei. 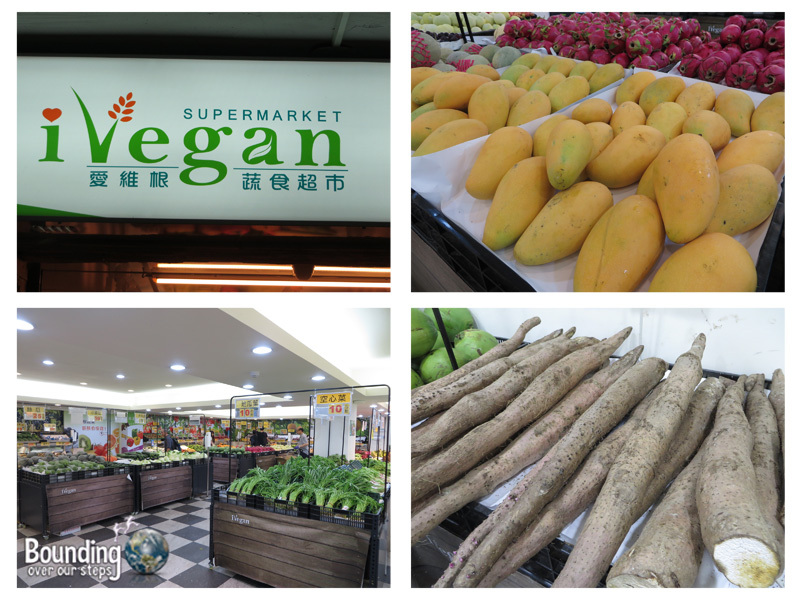 What landed Taiwan in the number two spot of our list was the ivegan supermarket in Taipei, a 100% cruelty-free supermarket, with no animals products and no products that had been tested on animals. On a practical level it was so nice not to have to constantly read the ingredients list on each item and from an ethical perspective it felt wonderful to be in a store where no animals had been harmed. Our fondest memories of Israel/Palestine include hiking up Masada, getting lost in the narrow streets of Jerusalem, visiting the town of Bethlehem and winning a silver medal at the Maccabiah Games. Rightfully sitting at number one, Israel/Palestine was the easiest country to visit as vegans. Vegan and vegan-friendly restaurants seemed to be everywhere we looked and, unlike the vegan-friendly restaurants in Southeast Asia that cater only to tourists, they were mostly full of local Israelis and Palestinians respectively. Even though we spent an entire month in this tiny country, this was not enough time to pursue all the vegan options available. 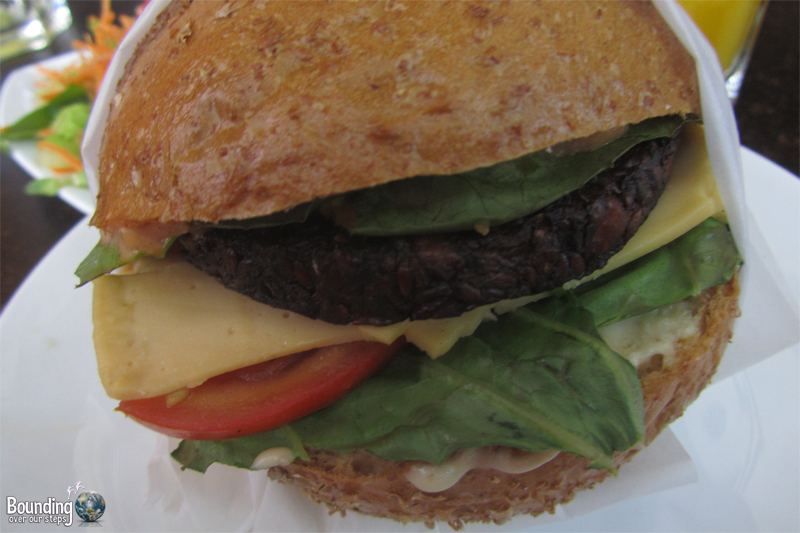 Our absolute favorite vegan restaurant was Buddha Burgers in Tel Aviv. Israel/Palestine had an abundance of fresh fruit (be sure to try the fresh figs! ), all sorts of olives and nuts (don’t try an olive right off the tree like I did though – bleh! ), and lots of very fresh vegetables. 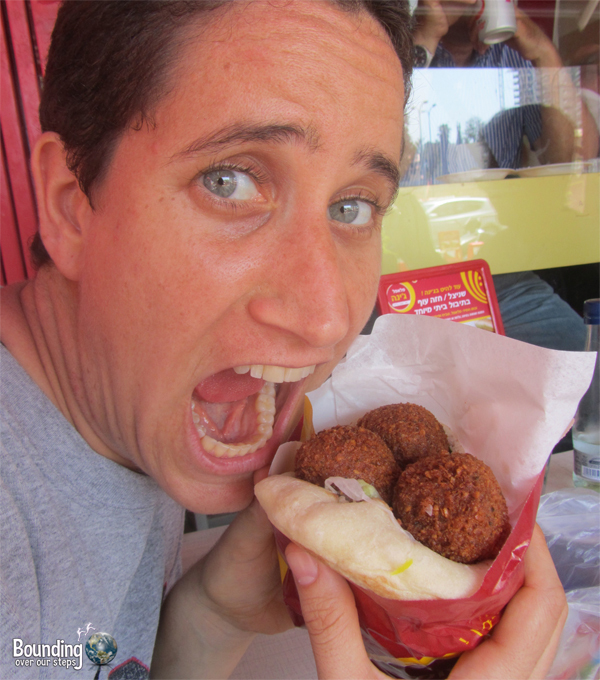 We were most excited about the ubiquity of hummus, tahini and of course, the falafel sandwiches, which we ate almost every day full of all the delicious topping that come with it. Be sure to try one with French fries stuff in the pita as well. Give us falafel, our daily bread. A must-try meal, especially while in Tel Aviv’s Givatym district, is the sebich, which is a pita stuffed with grilled eggplant, salad and hummus topped by a sweet and spicy mango sauce. Be sure to ask for yours without the traditional hard-boiled egg. What pushed Israel/Palestine to the number one position were the very active vegan movements, such as the 269 Life Movement, going on throughout the country. We very much felt at home among the awareness-raising campaigns including frequent marches and protests. 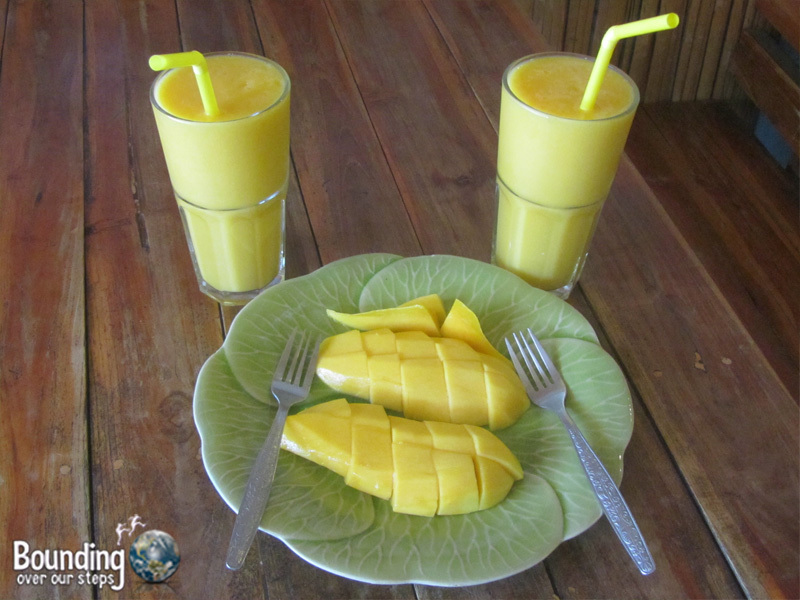 What’s the most vegan-friendly country you have visited? This is a great list! To be honest, the only other place I’ve heard of 100% vegan supermarkets is here in Germany, and very recently in Austria with a chain called Veganz. I believe the company has plans to open in the US soon. Anyhow, it’s great to know there is a chain in Taiwan! Yay! I really enjoyed reading this article, thanks for posting it. I have to say the easiest place I have found to be vegetarian is without a doubt, India. Yes, you must move here 🙂 We have Food Fight, an all-vegan grocery store that’s next to a vegan tattoo shop and a vegan bakery! And that’s just on one half block. I wrote a vegan & gluten-free cookbook (ebook), so I am passionate about food–clean, healthful, yummy food. I lived here years ago and just moved back last year, in part due to the amazing food options. Great list, ladies! I’ve been to all these places except Taiwan, but all trips were before I became vegan. Looks like I’ll have to go back and check out all the great vegan food I missed out on! I find it really interesting that veganism is so mainstream in Taiwan, as that’s not the case at all in mainland China. 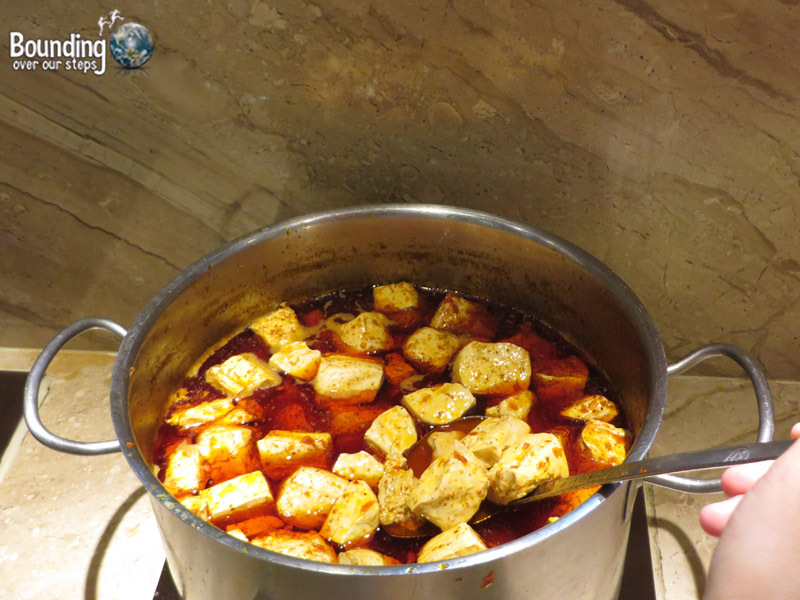 There is still plenty of delicious vegan food available in China, but for the most part it’s accidentally vegan. Sorry to say this,but in Turkey, most of the soups or other foods(almost %99) has butter based on animal fat or bullion ( animal derived products) to make them more tasty. So when you are in Turkey,even the ingredients looks vegan to you,it is better ask about all the process to be sure or just go to the Vegan restaurants. Loved the food in Chiang Mai. I lived close to Anchaan Vegetarian Restaurant so I was there all the time! Great post. So far I’ve found India, Bali and Sri Lanka very accommodating to vegan and vegetarian as they don’t often eat animal products themselves in most meals. Here in Bali I’ve found a number of vegan places in Ubud; seeds of life, and soma so far very nice! Also raw chocolate Ubud. I’m Sri Lanka most food cooked for us by our family was also vegan such as pumpkin curry which was amazing!